The Artisan Group Gift Bag for GBK’s 2018 Pre-Oscars Luxury Celebrity Gifting Suite. The Artisan Group® will sponsor GBK's Pre-Oscars Luxury Celebrity Gifting Suite, taking place March 2-3 in Beverly Hills, California. LOS ANGELES, CALIFORNIA, UNITED STATES, February 28, 2018 /EINPresswire.com/ — The Artisan Group® (www.theartisangroup.org) will sponsor GBK's Pre-Oscars Luxury Celebrity Gifting Suite, with a star-worthy selection of luxury handcrafted goods prepared by its members especially for attending celebrities, VIPs and select members of the press and media. The Gift Lounge takes place March 2-3, 2018 at an exclusive location in Beverly Hills, California. The Artisan Group collection is valued at $857.00 this year and includes a collection of handcrafted jewelry and accessories, spa and bath products, candles, fine art, a perfume kit, and other handmade gifts created by small business artisans around the world. The Artisan Group will also be gifting GBK's 2018 charity beneficiaries, to be announced in the coming days. 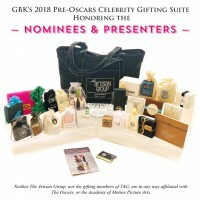 "GBK's Pre-Oscars Gifting Suite is a high point for our members, just as our unique gift bags are looked forward to by the celebrities," said The Artisan Group Founder Valerie Guerrero in a statement. 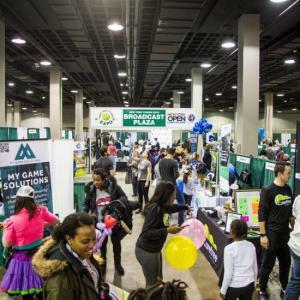 "In past years, Chris Tucker, Jon Bernthal, Teri Polo, Kevin Nealon, Penny Marshall, Sugar Ray Leonard, Laurie Holden and J.K. Simmons, just to name a few, have stopped by to chat and pick up one of our branded swag bags. I must say, our members have put together a really stunning collection this year and we’re looking forward to showing it all off." Display and celebrity gifting participants for the 2018 event include Chi Pham, CHI CANDLE; Stacey Vest , DESIGNED BY STACEY; Vincci Ching, HERITAGE REFASHIONED; Jennifer Del Valle, DTAILSULIKE; Mila & Payton Bartos, FIZZCANDY JEWELRY; Jennifer Volkodav, JEN VOLKODAV JEWELRY; Lauren Arnold, LE JEWELRY DESIGNS; Tera Herman, MAHENDI, LLC; Amy Schofield; MIXIFY BEAUTY; Caitlin Brotz, OLIVU 426; Toni & Lily Perez, SIMPLY CAPRINE; Emma Mann, SOAP CAULDRON; Tara Reid, STARLETTA DESIGNS; Leanna Blacher, THE SOAPY CHEF; Maren Misner, THE TIN OWL LLC; and Ariel Tan, YUN BOUTIQUE. Celebrity gifting participants include Yana Khoshtariya, AROMASOY CANDLES; Liz Kelly Zook, ARTIST LIZ KELLY ZOOK; Sandra Miller, BEADED BY SANDRA; Jenna Scifres, JENNA SCIFRES JEWELRY; Kari Asbury KARI ASBURY; Kimberly Girouard, KIKI BIRD JEWELRY; Dawn Rawson, MAGPIE BATH; and Melissa Pikul, METALS & PIECES. The Artisan Group's official Event Guide detailing all participating members is available to view online. See photos and purchase information of gifted items here. To learn more about The Artisan Group’s support of the handcrafted movement and its membership, read TAGazine, Vol. 12. The Artisan Group’s members come from all over the United States, Canada, and around the world. The by-invitation-only organization represents a varied group of individuals who are dedicated to the handcrafted movement. With the help of The Artisan Group, members gift their products to celebrities, VIPs and members of the press at elite Hollywood and New York City gift lounges. The Artisan Group also assists with placing member products on popular television shows such as How to Get Away with Murder, Empire, Riverdale, Law & Order: SVU, Bones, Jane the Virgin, Modern Family, Baby Daddy, The Vampire Diaries, Days of Our Lives, The Young & The Restless, Girlfriend's Guide to Divorce, Scandal, The Voice, and many others. The Artisan Group donates to charitable organizations by providing gift bags that can be auctioned off to raise funds. Follow The Artisan Group on Facebook, Twitter (@theartisangroup), and Instagram (@theartisangroup). Direct press inquiries to press[at]theartisangroup[dot]org. The Artisan Group (www.theartisangroup.org) is a premier entertainment marketing group dedicated to representing small business artisans at the best celebrity gift lounges and press events. The organization provides a collective sampling of handcrafted products to celebrities and members of the press at top luxury gift lounges such as those leading up to major red carpet awards shows. The Artisan Group also coordinates product placement of its members' handcrafted products on such hit television shows as How to Get Away with Murder, Empire, Law & Order: SVU, Bones, Jane the Virgin, Modern Family, Baby Daddy, The Vampire Diaries, Days of Our Lives, The Young & The Restless, Scandal, The Voice, and many others. Membership in The Artisan Group is juried and by invitation only. 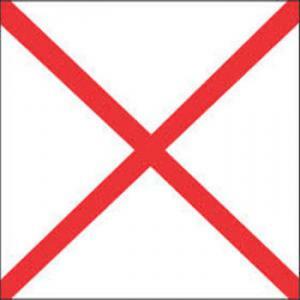 The Artisan Group is in no way associated with The Academy of Motion Pictures Arts & Sciences, The Hollywood Foreign Press Association, MTV, or The Academy of Television Arts & Sciences. 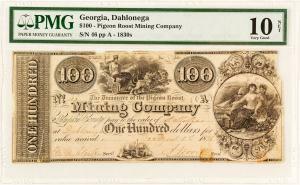 Pigeon Roost Mining Company $100 scrip note from 1838, graded PMG Net 10 Very Good (est. $200-$400). Miners Bank (San Francisco) $10 US gold coin totaling 16.7 grams (est. $45,000-$80,000). Pontiled California Gold Rush soda bottle, M.R. (Sacramento, Calif.), circa 1851-1863, medium cobalt blue (est. $1,200-$2,000). Holabird Western Americana Collections will conduct a major Gold Rush Sale, celebrating America’s gold rushes from Georgia and North Carolina to California. Airway Drive (Suite 308) in Reno. Start times all four days will be 8 am Pacific Daily Time. For those unable to attend the auction live, internet bidding will be facilitated by iCollector.com, Invaluable.com, eBay Live and Auctionzip.com. Phone and absentee bids will also be accepted. Gold rushes in Georgia and North Carolina? Yes, they happened, and many years before the far more famous California Gold Rush of 1848-1855. 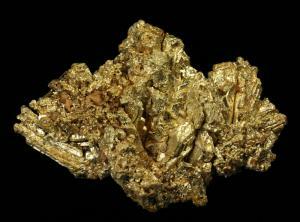 It began with the discovery of a single gold nugget in North Carolina in 1799. Nearly three decades passed before truly substantive gold discoveries were made in North Carolina and Georgia, all by men with no training in mining. 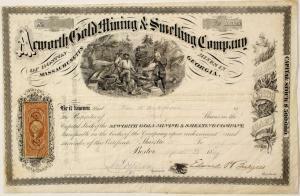 The Al Adams collection includes the first gold company stock certificate from 1807; an 1830 letter from a Georgia bank to the US Mint, asking what to do with all the gold coming in; gold lottery tickets for Georgia land; Georgia Gold Rush land deeds with medals, rarely seen by collectors; a Pigeon Roost Mining Company scrip collection (1835-1838); Georgia and North Carolina gold coins; Georgia gold nuggets; American gold specimens; and US Mint documents. Other items will include a superb Belfast Mining Company scrip collection from the 1830s; gold bullion receipts from Dahlonega, Charlotte, San Francisco, Carson City, New Orleans and the Philadelphia Mint; Gold Rush-era private assayer bullion receipts from seven Western states; and the finest-ever offering of 1840s, 1850s and 1860s mining company stock certificates from the Appalachian gold belt in the east to the three Western states of California, Nevada and Colorado. The world in which the Georgia and North Carolina gold rushes took root and flourished is hard to imagine in today’s modern time. The U.S. had only recently been formed, and the first coins minted, when that first gold nugget was found in North Carolina in 1799. There were only 16 states in 1800. The number crept up to 24 states by 1821 and remained that way for 15 years. Development outside the original 13 colonies was slow. The areas south and west of New England were called the “Western frontier”, populated mostly by Native Americans and ex-pats from Western Europe looking for adventure and a better life. Most were farmers and merchants. The scientists remained in Western Europe. Very little was known about geology at the time. Indeed, the first geologic map was printed in Europe in 1799 and it would be 25-30 years before anything similar was produced in America. That’s what makes the Georgia and North Carolina gold rushes so remarkable. They were forged with no prior mining know-how. Not a single man in the Georgia-North Carolina gold rush had been a miner. It was American ingenuity at its best. •	Robert Bennett, the highly regarded mining geologist who spent much of his 45-year career working the Goldfield district. He collected high-grade ore specimens from many major mines he was lucky enough to work for. These are dutifully included in the sale. •	Jerry Gray, a longtime collector of gold and turquoise specimens from Carson City, Nev.
•	Vern Potter, a national ephemera dealer who’s now retired but his massive collection of Gold Rush-era exchanges, important maps and special documents will be in the auction. •	Robert Fulton, the late collector of rare mining books and former head of the University of Nevada (Reno) in the 1920s. Another collection, similarly themed, has an inscribed Sutro Tunnel book to Melville Atwood from Charles D. Poston (the “Father of Arizona”). The auction also features Gold Rush-era coins (including a complete Hart gold token set, all graded and holdered); Carson City coins; a .999 fine golden egg, custom-made for an Arizona collector in 1982; Gold Rush-era soda bottles in hues of cobalt blue, teal and green from San Francisco, Sacramento and Savannah; Nevada mining cap bottles; Pawnee Bill full-color posters; choice Western mining photographs; and other items from an integral part of Western history. Color catalogs are available on request, by calling 1-844-492-2766, or 775-851-1859. Also, anyone owning a collection that might fit into a Holabird Western Americana Collections, LLC auction is encouraged to get in touch. The firm travels extensively throughout the U.S., to pick up collections. Last year it went to Boston, Florida, Seattle and New York, among other places. Holabird Western Americana is always seeking quality bottle, advertising, Americana and coin consignments for future auctions. To consign a single piece or a collection, you may call Fred Holabird at 775-851-1859 or 844-492-2766; or, you can e-mail him at fredholabird@gmail.com. To learn more about Holabird Western Americana's March 15-18 auction, visit www.fhwac.com. AMSTERDAM, NETHERLANDS, February 28, 2018 /EINPresswire.com/ — Dutch supermarket chain Ekoplaza today launched a pilot metro market in Amsterdam, the Dutch capital, stocked with over 700 plastic-free products ranging from meats to fresh fruit and vegetables. 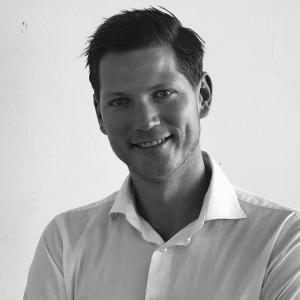 "Micro-plastics are today found in over 80 percent of the world's tap water according to new research, while other studies indicate pollution of drinking water by pervasive gender-bending chemicals and hormones is leading to lower fertility rates and hormone disruption in young women and men," said Anders Jacobson, President of Bluewater and co-founder and CEO of the company's holding company, Blue. Jacobson said Bluewater's leading-edge, patented water purification technologies and delivery solutions effectively remove gender-bending chemicals found in cleaning agents, cosmetics and contraceptive pills as well as the micro-plastics now being found in tap water around the world. Noting that the health impact of the plastics swamping the world's oceans are increasingly being documented by new studies, Jacobson described Ekoplaza's initiative to debut plastic free aisles as an 'innovative, exciting and necessary way to provide a solution to the catastrophic pollution of the planet by single use plastics'. The plastic free aisle initiative was spurred by international environmental campaign group A Plastic Planet, a grassroots movement geared to turn off the plastic tap. A Plastic Planet co-founder Sian Sutherland said Ekoplaza's initiative 'represents a landmark moment for the global fight against plastic pollution and opening the door to a new future where the public are finally given a choice about whether to buy plastic or plastic free'. "We applaud both Ekoplaza and A Plastic Free Planet for creating a stunning stepping stone towards a better future where human ingenuity and solutions like those provided by Bluewater can help benefit planetary and human health," said Anders Jacobson.
" Launching in Amsterdam, the world's first Plastic Free Aisle is a joint initiative of environmental campaign group A Plastic Planet and Dutch supermarket Ekoplaza. The Aisle graphics were designed by London design studio Made Thought, and makes its debut alongside the brand new Plastic Free Trust Mark – a labelling system designed to help shoppers quickly identify products on the shelf that are free from plastic packaging.
" Founded last year by Sian Sutherland and Frederikke Magnussen, A Plastic Planet is a grassroots movement with a simple goal – to turn off the plastic tap. Over the past twelve months, A Plastic Planet has built a formidable coalition of supporters in favour of a Plastic Free Aisle in supermarkets.
" Ekoplaza is a Dutch supermarket chain with 74 stores across the Netherlands. The chain is one of Europe's leading organic grocers and is at the cutting edge of efforts to reduce the environmental impact of food and drink retail.
" Exclusive research by Orb Media, a top journalism site, and researchers at the University of Minnesota School of Public Health, indicated microscopic plastic fibers are flowing out of taps from New York to New Delhi with women, children, men, and babies consuming plastic in their water-based drinks. The study pointed to the U.S. having the highest level of contamination, with perhaps 94 percent of water contaminated with microscopic plastic fibers.
" In October, 2017, Bluewater launched a planet-wide movement geared to harness human ingenuity to help bring cleaner, healthier water to everyone and create oceans without plastic. With rich, experiential sound and worldwide collaborations, ‘Think Void’ is the solo artist World Void Web’s debut album in Instrumental Music! NAVI MUMBAI, MAHARASHTRA, INDIA, February 28, 2018 /EINPresswire.com/ — Lack of concentration and the inability to focus the mind on one thing is a widespread problem, irrespective of age, gender or country. Lack of concentration affects work, relationships, school, and almost everything else. In this age of the Internet, smartphones, the social networks & information overload, the problem is even bigger and make the attention span even shorter. 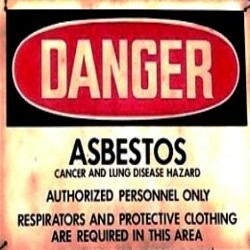 When the problem is severe, it might require medical attention and advice. However, if you are an average person, lacking concentration, but have no health problems as the cause of the lack of concentration, you can remedy this by listening to relaxing, instrumental music. 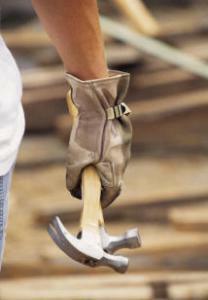 Instrumental music is medically proven to be beneficial to improve focus and productivity. Meet Ajit Padmanabh, a self-taught solo musician & artist from Bangalore, whose love for instrumental music and focused listening, led to the making of his debut album, Think Void, with the tagline “Inward Is The Best Way Forward”. Seeking an alternate identity which is neutral in gender, community, region, religion or nationality, he calls himself World Void Web. The concept of Void – nothing that’s everything – always fascinated him. Sony DADC released Ajit’s debut album, Think Void, on 24th November 2017, including packaging, distribution & marketing worldwide. The album features collaborations with legendary artists like Grammy Award winner and Hindustani Classical Hawaiian Guitar proponent Dr. Prakash Sontakke, Legendary Bass Guitarist Keith Peters, Rock Guitarist with his signature Carnatic leads Baiju Dharmajan and an International act from Spain, Music Saw proponent and Spain’s Got Talent Participant Adriano Fernandez. Taking a break from his full-time job at a leading IT firm, Ajit got down to conceptualize, create and mold this album to its final shape in 4 months. He conceptualized the album and track titles after focused and extensive research on the subtlest of the five elements (Panchabhoota in Sanskrit) known as Ether/Space/Void (Akasha in Sanskrit), the essential message being Think “Void” since that’s what makes all things fall in place, that’s what makes all of what we sense, actually manifest! 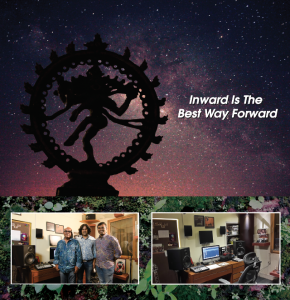 With influences of rock, jazz, metal, dance & fusion, Ajit arranged and recorded this multi-genre album at his home studios, Blank Point Studios and was mastered at the legendary Sterling Studio, New York. Think Void, with its subtle yet evocative, ethereal mix of sounds, helps transport the listener to a world within oneself, bringing in concentration and enabling a focused work of creation to take shape. With every listener’s world being essentially different, an introduction of lyrics into the music would have definitely altered the listener’s imagination or concentration. Thus, World Void Web chose not to include words but instead, brought in voiceless emoting, leading the listener to focus on his/her activities, thereby improving productivity. An avid reader, Ajit believes that each of us is experiencing 3 states at any given point in time – World, Void & Web. You could be overwhelmed watching the simplicity of rain (World), absorbing all of what you see around, breathing (Void), while lamenting about the traffic, sitting inside your vehicle (Web). This is the core philosophy of his songs and albums. Ajit firmly believes that Music has been teaching him all he knows about it. The album has received some rave reviews already. “Philosophical, musically deep, and with arrangements that will stand up to repeat plays, World Void Web’s Think Void is an album that would be best enjoyed with listeners sitting back, focusing on the music issuing forth from speakers, and contemplating what each note means to the overall enjoyment of the album” – NeuFutur Magazine, released on a bimonthly schedule, available in Ohio, West Virginia, and Pennsylvania, USA. The first music video from the album was released recently, for the song “Memories In Raindrops”. NEW YORK, NEW YORK, UNITED STATES, February 28, 2018 /EINPresswire.com/ — Play2Live CryptoMasters was scheduled to release of the 2.0 version of MVP with advanced player and P2P CDN, that was tested during the broadcast of the tournament. Play2Live (P2L), the first full-blown blockchain-based streaming platform for gamers and esports fans successfully hosted and broadcasted the world’s first esport tournament with the main prize – 2 000 000 LUC (Level Up Coin) tokens ($100,000). Eight international teams — 7 invited and 1 from the open qualifiers, took part in the tournament. It has resulted in the triumph of AGO, a Polish esports organization, that took the main prize of 1 000 000 LUC tokens ($ 50,000). The second team was Space Soldiers (Turkey), which received 400 000 LUC tokens ($ 20,000), the third and the fourth place with 200 000 LUC tokens ($ 10,000) prize pools were taken by the teams BIG (Germany) and GODSENT (Sweden). P2P CDN technology, claimed in the company's Whitepaper, was tasted during the tournament as part of demonstration of the Play2Live MVP 2.0 features. "We have successfully coped with the load of the first cyber tournament. P2P CDN technology tested during P2L CryptoMasters allowed us to save up to 30% of traffic per separate stream. This gives a lot of opportunities in terms of earnings for the platform users. Beta version with this monetization channel will already be available in June”, comments Alexey Burdyko, CEO and Founder at Play2Live. The tournament was broadcasted in 16 languages and gained 950K views, driving more than 120K unique users. Due to the vast geography of the broadcast, Play2Live team had a chance to test platform accessibility for users from many countries and regions, including: China, South Korea, USA, Germany, France, Turkey, Russia, Balkans, Baltics and Eastern Europe. All LUC tokens can easily be converted into other crypto currencies or fiat money through a special exchange gate/API after the end of the Play2Live token-sale on March 14 at 17:00 UTC. "I think that the crypto currency prize pool is a new hot trend. Usually people treat crypto currencies suspiciously, but for those who actually understand how it works, it's easy to find value and benefits of it. That's why P2L CryptoMasters organizers managed to attract profound teams to the tournament. Majority of them have received personal invitations and agreed to come to Minsk to compete for the token prize”, comments Mateusz Kovalchuk, co-founder and board member of the AGO team. 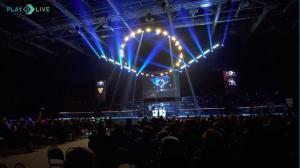 P2L CryptoMasters took place on February 24-25, in Minsk, Belarus on Falcon Arena in front of the thousands of viewers. 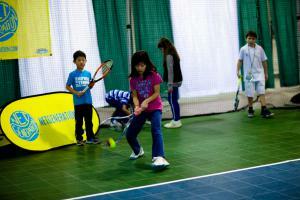 More than 50 people took part in the organization of the tournament. The event was broadcasted in 16 languages. "Only a few esports event are broadcasted in so many languages. We coped directly with 16 groups of streamers. It wasn’t easy, but since it was the world’s first esports tournament with crypto prize pool, it was crucial for us to give the opportunity to see it native languages to as many people as possible, despite their location. Blockchain and Esports are the future, and we are sure that there are going to be more tournaments like soon,” comments Ignat Bobrovich, CEO of TwoGNation, technical partner and organizer of the event. Play2Live CryptoMasters tournament was the first event broadcasted on p2l.tv platform. To learn more about all the broadcasts, you can subscribe to the official Play2Live channels in social networks and stay tuned. Founded in 2017, Play2Live aims to merge blockchain technology with streaming services. Its mission is to create an ecosystem where every participant — the viewer, the streamer, and the esports tournament organizer — is part of a seamless system that favors interaction among viewers and the diversity of monetization schemes. Essentially, everybody can be part of the peer-to-peer interaction, and everybody — even the viewer — is able to earn money. Play2Live uses a token called Level Up Coin (LUC) which acts as a sole internal currency within the system. It can be easily converted to other cryptocurrencies or to fiat money through a gateway/API.